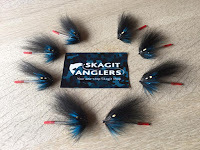 Skagitanglers.com: Sea Trout on waking flies - Part 1. Sea Trout on waking flies! 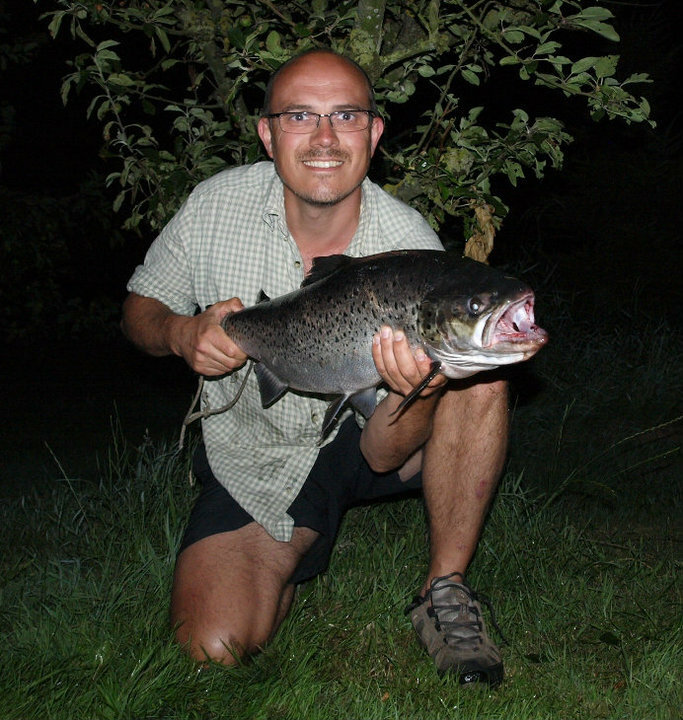 During the daytime Sea Trout stay hidden and almost impossible to catch on the fly. When the light changes so does the mode of the fish. Sea Trout tends to be agressive and subtle to the fly if you know a few tricks. 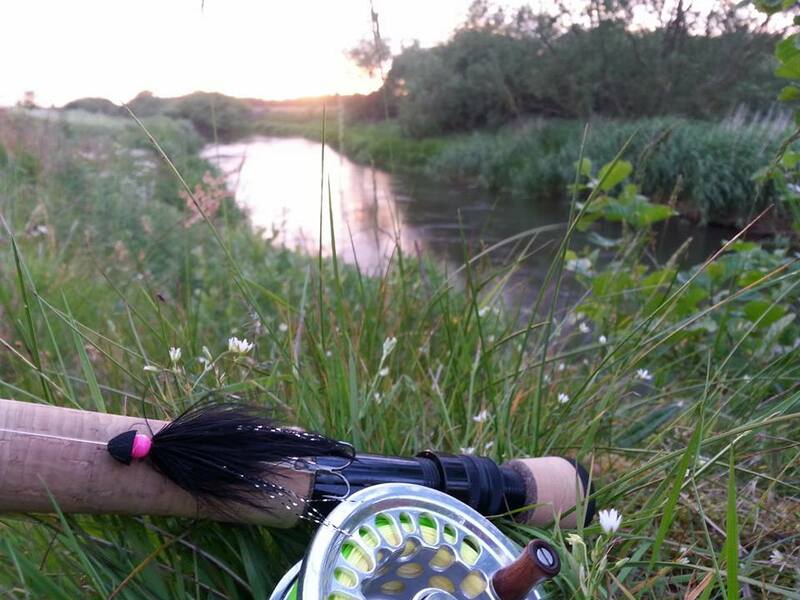 The most important trick is to maximise time your fly is in the water. It's that simple. More time on the water = more fish! Having said that the fly and especially the way you fish it has some importance too. During several years we have been fishing "big, black and bulky flies" - and it works. With big flies we mean flies up 15 cm long. 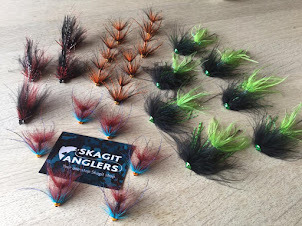 Most often we fish 8-10 cm long flies often with a lot of flash and tied with materials like marabou, rabbit strips, fox hair, soft cones - and some more flash just to be sure! An important touch is the cone head or muddler head which gives the all important "wake" when the fly swings through the most likely holding spots. Don't be scared to go heavy on the flash. 25 strands of flash is average on our flies. Most people use to little flash in our opinion. Especially in the night you'll need a lot of flash. You might want to try Glow-In-Dark flash for some added bling-bling effects. 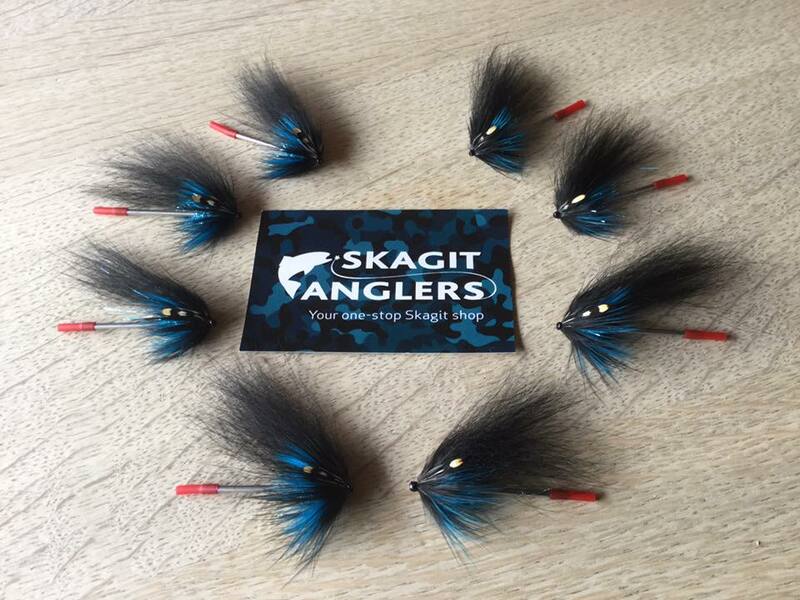 Take a good look at the shop where you'll find all the materials you need to tie your own waking flies for sea trout or you can buy flies from our stock. All flies in the shop are tied by professional fly tiers. Enjoy summer - whereever you are!